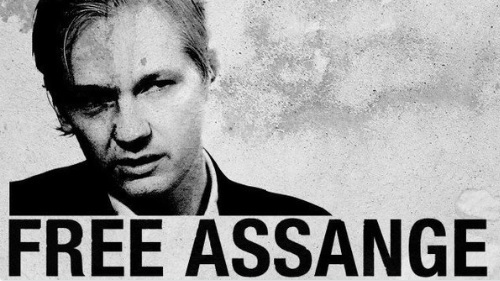 BUTLINCAT's BLOG: Wikileaks Updates 08 Dec. 2018 - Assange rightly rejects bs deal "allowing him to leave embassy", Government lackeys [UK media] lambasted, the nonsensical "Russian investigation"
Wikileaks Updates 08 Dec. 2018 - Assange rightly rejects bs deal "allowing him to leave embassy", Government lackeys [UK media] lambasted, the nonsensical "Russian investigation"
... Embassy remains very much in question as the Ecuadorian President has increased pressure on the Wikileaksfounder to leave his current location. Chapter 1. ?WIKILEAKS : GLOBAL INTELLIGENCE FILES. "The Professional or How to Rule America" By Mikhail Kryzhanovsky, KGB and CIA. pro. By KRISTINN HRAFNSSON , Newsweek, 12/7/18 https://www.newsweek.com/julian-assange-wikileaks-editor-us-extradite-opinion-1249871. The Democratic Party is suing WikiLeaks for publishing the stolen emails. Now, WikiLeaks is fighting back and they want our help to do it.